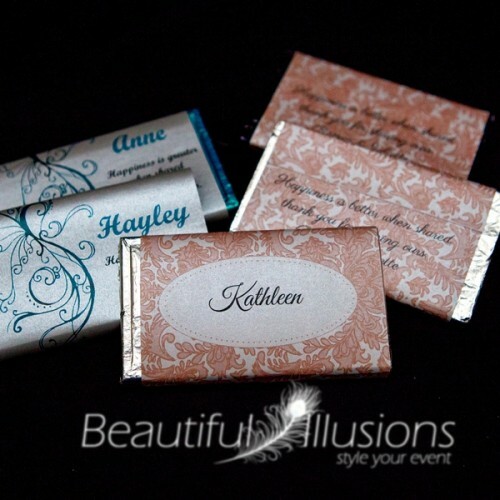 Personalised, pretty and edible these personalised chocolate bars are sure to impress your guests. Our personalised chocolate bars are made to order from yummy Cadbury Chocolate and designed to suit your colour and theme, we will even add the guests name at no extra cost! Choice of mould designs is also included in the price. Premium Chocolate is also available for a 25% price increase.